Ian Woodward's Investing Blog » Three Cheers for the HGS Investor Team! Three Cheers for the HGS Investor Team! Our Motto is that “We Aim To Please and Teach You to Make More Money”, and I do hope that over the months you have visited this blog that you have seen one avenue by which we keep you abreast of the pulse of the market, the opportunities we see, and avoiding the pitfalls that are out there. We have several other Free and Pay for offerings and these are listed below. 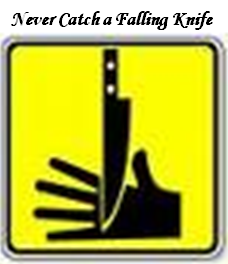 A Key Objective of ours among many others is to teach you how to Preserve your Capital and avoid catching a Falling Knife. Ron Brown publishes free stock market reports and video weekly using the Designer, Warehouse and filters to show how the markets are doing. Many customers find this report extremely valuable because it also shows how the software can be used. 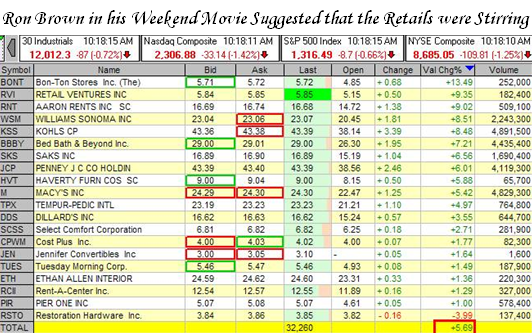 The past five (5) weeks are available for you to review: www.highgrowthstock.com/WeeklyReports Ron also provides many of the filters, warehouse views, combo rankings that he uses as a free download from the HGS Learning Center. A good place to ask questions and learn about investing strategies, stock and market talk. Many customers are professional money managers as well as experienced private investors. This entry was posted on Tuesday, January 22nd, 2008 at 11:33 am	and is filed under HGS Principles. You can follow any responses to this entry through the RSS 2.0 feed. Both comments and pings are currently closed.